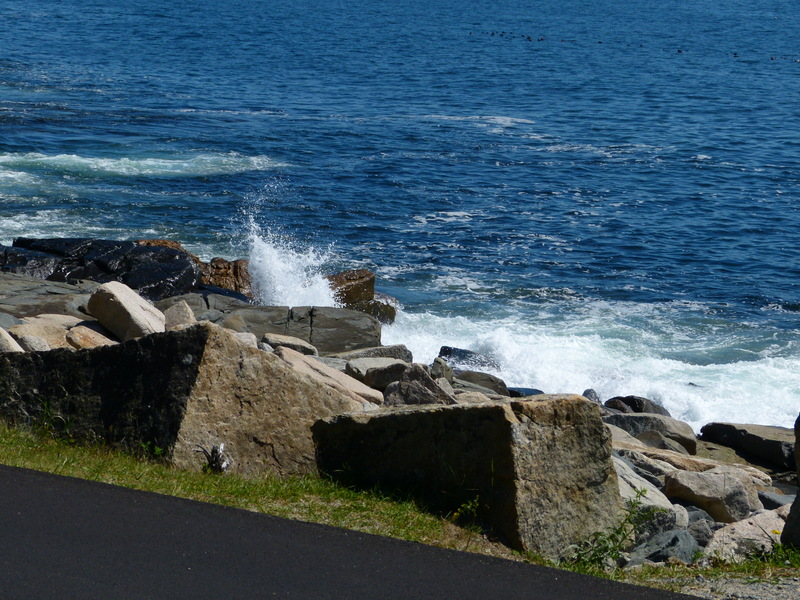 We drove from Mt Desert Island in Acadia through the Schoodic Penninsula and took some great pictures of the waves crashing on the rocky coast. 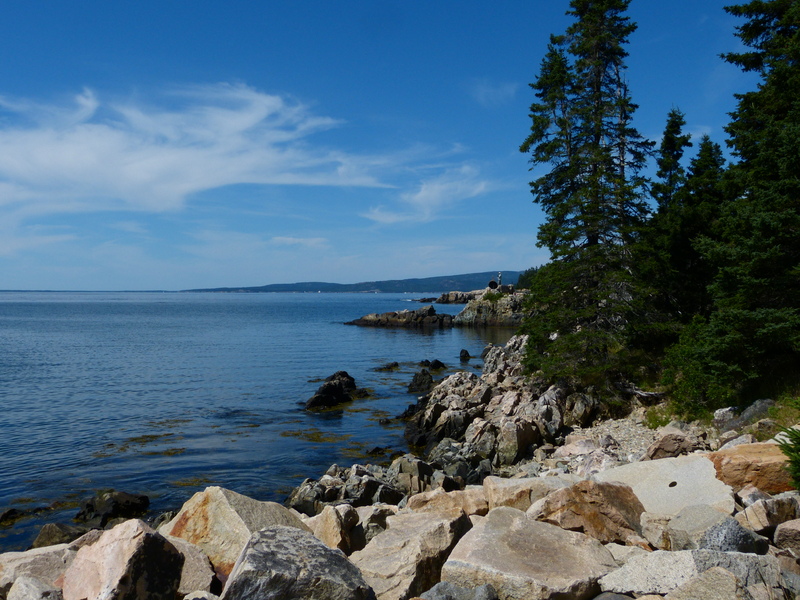 This is an area of Acadia National Park that we had never visited before. It consists of a one way scenic road with lots of places to stop and take in the scenery. Well worth the drive! After driving along the Peninsula, we traveled on Route 1 until encountering the FDR International Bridge. 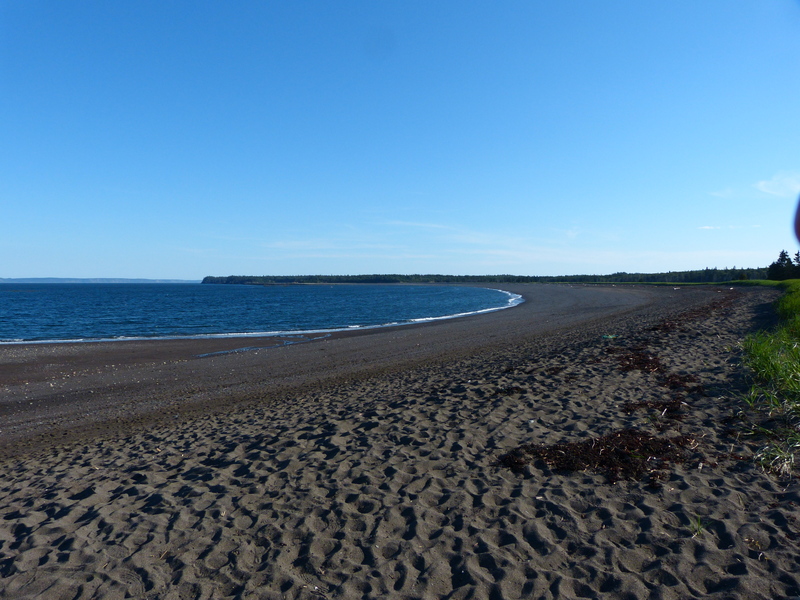 We camped at Herring Cove Provincial Park not far from the beach. RVs were allowed in the wooded area, while tent campers were allowed right on the beach. We were wishing we had packed the tent! The beach was a chocolate color, sand and pebbles. And was empty most of the time! 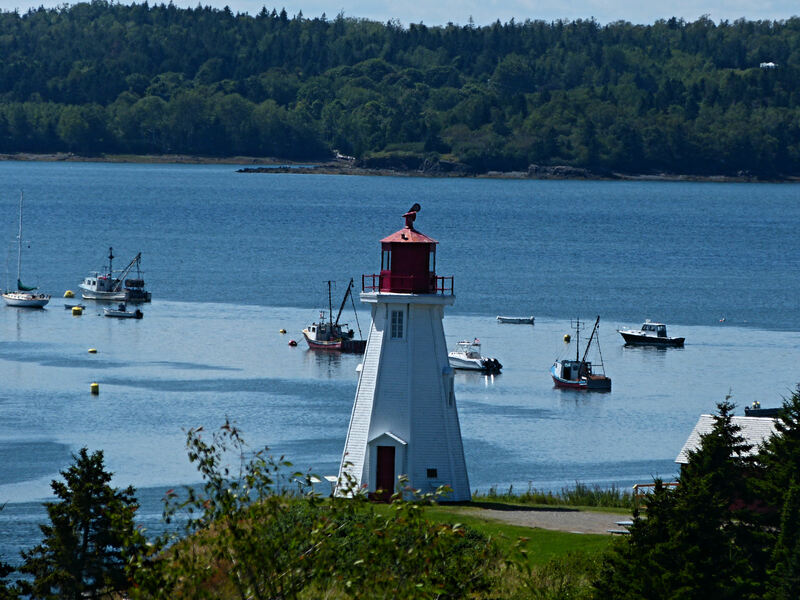 Seals swam in the waters around the lighthouse, while many whales were sighted off the East Quoddy Lighthouse road on the other end of the island. 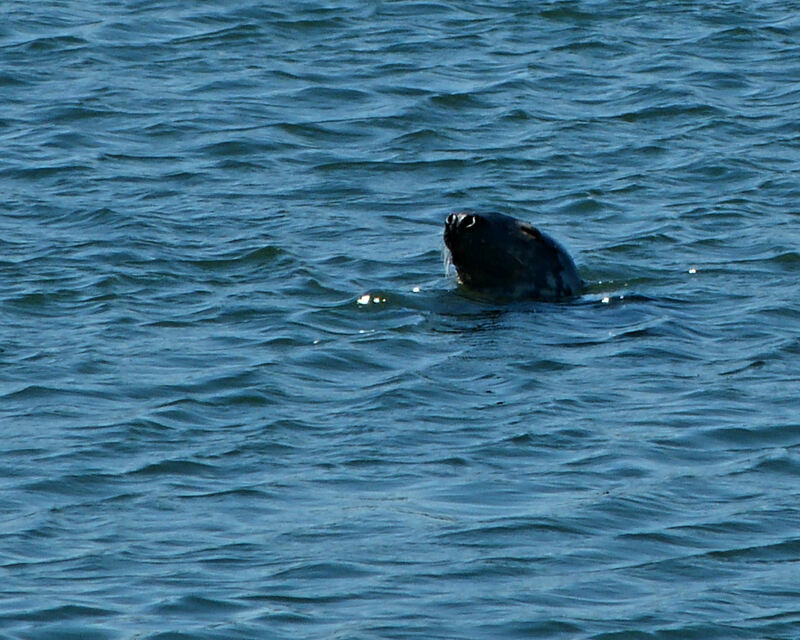 We spent our time viewing the whales, eagles, and seals. 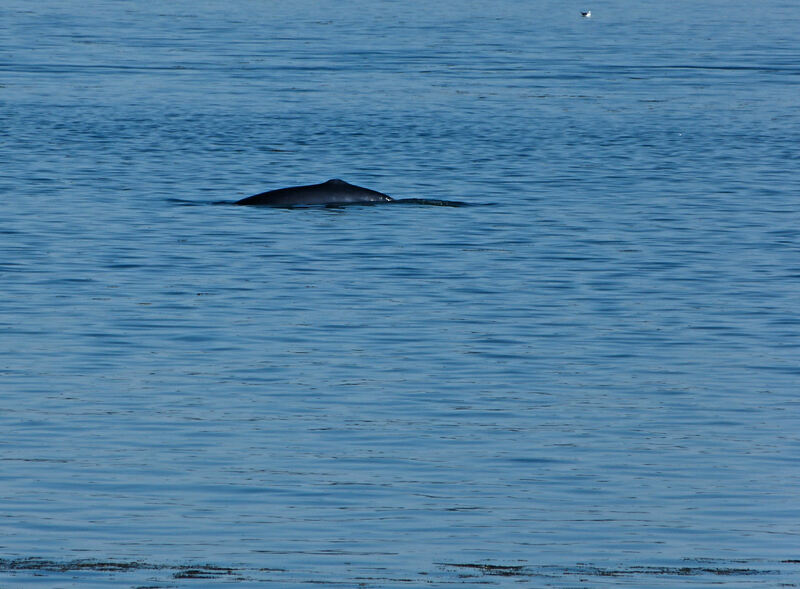 Commercial whale watching boats were prevalent, but you could actually see the whales right from the side of the road! Okay, whales don’t photography well unless they are jumping! 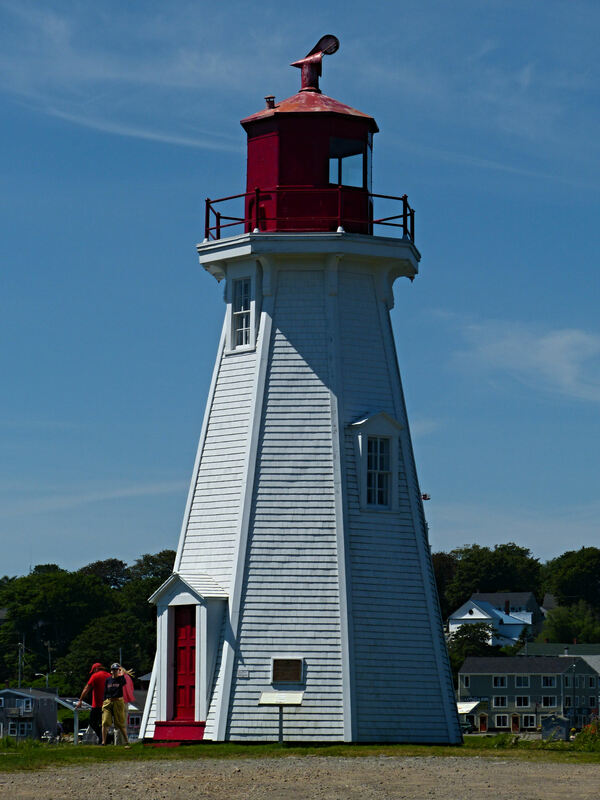 The tides rise 5 feet an hour in the Bay of Fundy near the East Quoddy Lighthouse and the Mulholland Lighthouse. 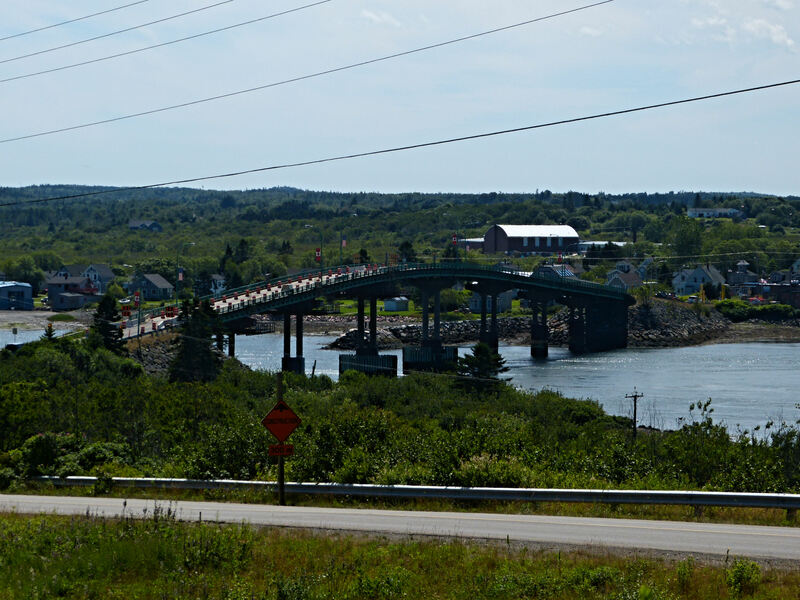 Eastport, Maine is across the channel. This entry was posted in camping, Canada, Rving on August 9, 2013 by Ramblin' Rose. Mom, want to see more pictures of the whales! You know they are my favorite 🙂 Did Woolly bear say hello to them? Seems like you are really enjoying your trip so far! Love your photo’s! We are just taking our time and taking in the scenery. Can’t wait to see Newfoundland!your photos were awesome.